Relevancy. No one wants their pieces of writing to die out and be lost and forgotten in the plethora of saturated content on the internet. So that begs the question. How can one stay relevant? How can one deliver more ROI to one’s respective company for the cost of developing content for your website? The answer is simple. Promoting “evergreen” content that is going to last, getting to the root of a company’s message and providing materials to its readers that remain pertinent past a particular due date. Okay, so we’ve established the importance of creating evergreen content. How does one create Evergreen Content for their website? An article about flowers is not necessarily relevant when it comes to creating content for a company that sells shoes. It is vital to know and understand one’s audience and what they expect from a particular company. Not only is it important to gather a set of topics that are relevant, it is important that these topics are not time sensitive. 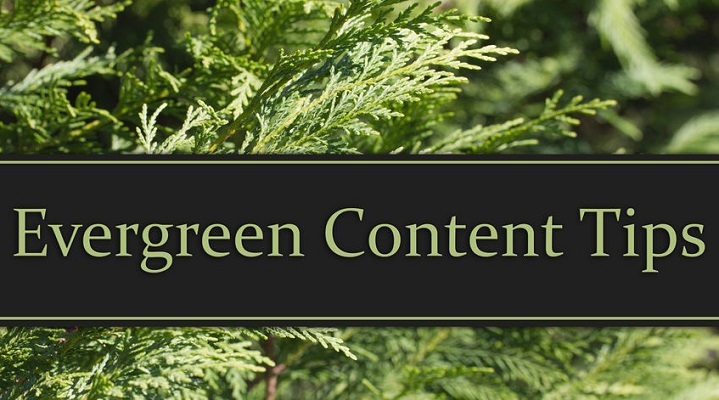 A piece of content won’t be “evergreen” if it only applies to a certain time or place. Articles about recent news only stay in mass circulation when it first appears. After that it becomes history and thus less likely to be engaging to audiences. Instructional “How to” videos are great forms of evergreen content. They remain pertinent to your audience because of their educational nature that keeps audiences interested. Instructional videos help to explain the functionality of certain products and will be viewed at higher rates since new consumers are interested in learning how those products function. Keywords are important because they encompass the central parts of a company’s broader purpose and message. For instance, if a science company attaches broad keywords like, “Chemistry” or “Biology” to a particular product, it will be easier for consumers to search for products using those broad keywords. You can attach the keyword “Chemistry” to lab coats, beakers, dissection kits and more. This helps to keep content evergreen because the keywords make the product relevant since they are broad enough to the company’s overall purpose. The easier the content is to understand, the more drive it will amass. The search results on the first page of Google is a great example of this. Straightforward and direct answers will most likely be viewed first since consumers want fast and easy solutions to what they are aiming to find. One way to keep posts evergreen and relevant is to connect posts to other posts. This helps your audience to track posts that they find interesting and to gain information that is related. It also makes content easier to understand since it poses multiple solutions to a given problem. On the flip side of the spectrum, original pieces may also be a form of evergreen content due to their unique qualities. Someone is more likely to return to an article that is distinctive from the rest. It demonstrates a wealth of knowledge that is relevant to consumers that want to know more about a niche area of expertise. Checklists and tips are ideal forms of evergreen content since they are easy to understand. It is also a good idea to connect keywords to older posts to ensure that posts are staying relevant and evergreen. Now that you know how to create and maintain evergreen content that will keep consumers hooked, make sure to check out our 2019 Web Design Trends to keep up with changing Marketing practices. Remember that we are here to provide informative resources and a multitude of Creative Marketing Services to make your business unforgettable!